"Hey Google where's my WiFi?" 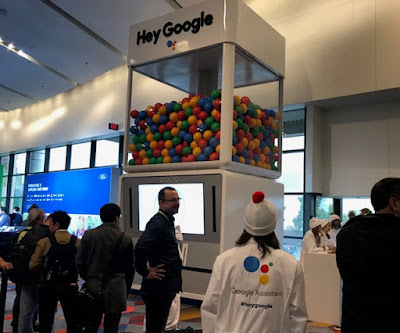 Googlers were turning away visitors at its gumball machine because it's WiFi connection was down. The display invites people to pose a question to Google Assistant to win a prize.